Considering buying a fixer upper? Or just looking to make some upgrades? Or want to go all out and build your dream home? We recently had drinks with Jeff Pelletier of Board & Vellum, a local architecture and design firm, and got a super rough guide to what it costs to remodel, or build, in Seattle right now. 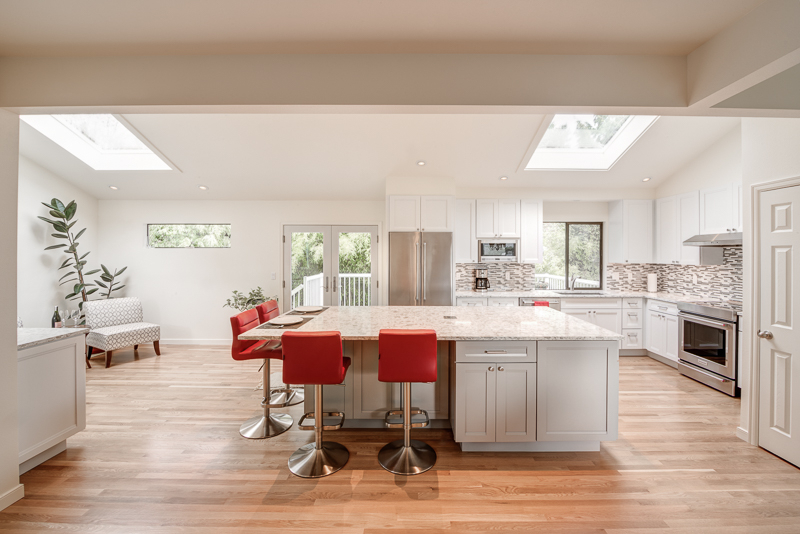 For a studs-out remodel you’re looking at $275 – $350+ a square foot, but if you’re just touching part of the home, here’s the cheatsheet on pricing (and remember, these are just construction costs. Soft costs such as design fees, engineering, and permitting can easily add 15% to 30% to the costs). What if you want to start from scratch? Keep in mind that these are very rough estimates, and depending on your situation you could spend much more, or perhaps less if you’re crafty! And remember, contractors are super busy right now and are booking 3-6+ months out. If you’re only doing part of the site, you can divide by the total area. However, areas that are hard to reach will cost more.